This year marks the 20th anniversary of Harmony Day, a day that celebrates cultural diversity. Nationwide celebrations will run for an entire week this year, celebrating Australia’s fascinating cultural diversity. 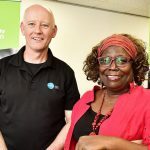 ABS data tells us that 49 per cent of Australians were born overseas or have at least one parent who was, we also identify with over 300 ancestries and speak more than 70 Indigenous languages. 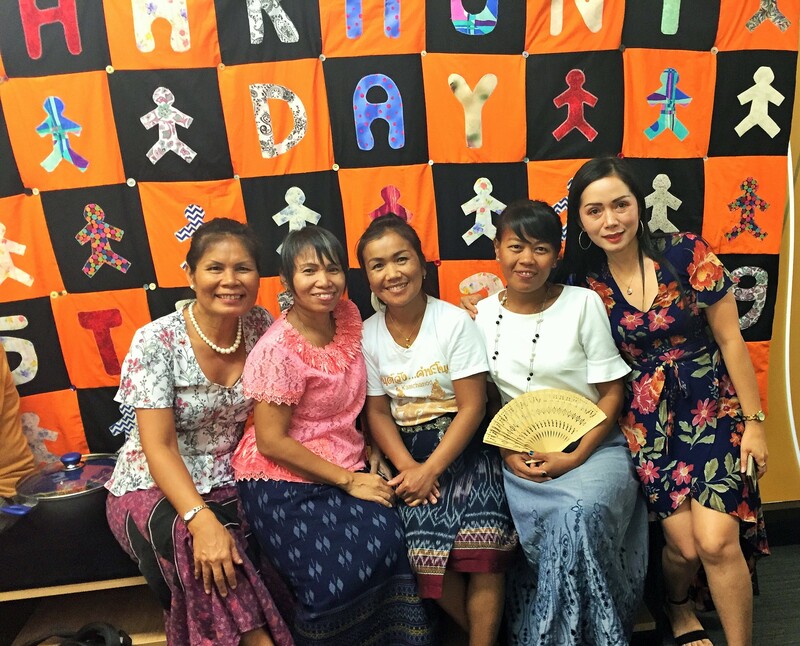 In celebration of both the 2019 International Women’s Day and Harmony Week, the women in the Adult Migrant English Program (AMEP) and Skills for Education & Employment (SEE) course at STEPS Education & Training in Palmerston, Northern Territory have been partaking in a handmade quilting project as part of their coursework. The sewing classes go far beyond learning the basics of sewing and measuring, they provide a platform for social interactions and friendship building. Importantly, the group work helps the women to develop not only literacy and numeracy skills, it also builds confidence practising conversational English in a relaxed setting. The quilt was displayed in the City of Palmerston Library in Darwin, Northern Territory as part of an International Women’s Day and Harmony Week exhibition. 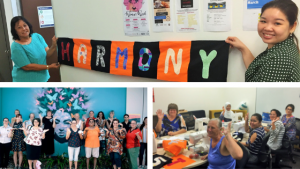 It then returned to STEPS Education & Training in Palmerston for their Harmony Week celebrations, and the quilt will now embark on a journey of almost 3000km from Darwin, Northern Territory to the STEPS Pathways College based on Queensland’s Sunshine Coast. STEPS Pathways College provides students living with a disability a pathway towards independence and the opportunity to achieve their goals. The sewing team of 11 students was led by STEPS volunteer Kerri Roberts assisted by Maria Stephens, both former SEE students, the project was overseen by SEE trainer Mark Roscoe. Kerri and Maria said they gained so much confidence since joining the sewing group and have formed some wonderful friendships, both experienced and knowledgeable sewers, they now offer their time to volunteer at STEPS teaching students to sew. Kerri made a public speaking presentation on behalf of the sewing group at the City of Palmerston Library’s Women’s Art Exhibition launch and morning tea. An event attended by Mayor of Palmerston Athina Pascoe-Bell and Northern Territory Anti-Discrimination Commissioner, Sally Sievers. Kerri attributed the confidence gained through her SEE classes and volunteering at STEPS to providing her with the courage to take on the public speaking task. The quilt is predominantly orange, the colour chosen to represent Harmony Week. The colour orange signifies social communication, joy, warmth, encouragement, happiness and enthusiasm. The people on the quilt represent women, for International Women’s Day. From its humble beginnings in a Darwin classroom, the quilt has quickly become a project of so much more than just sewing skills, it has connected people from all backgrounds and become a platform to enhancing the social fabric of the community. This quilt was crafted by people from diverse backgrounds and experiences, it shows that the making of a simple quilt can really become a symbol for inclusiveness, respect and a sense of belonging for everyone.